This formulation provides a natural, concentrated source of the essential Omega 3 fatty acids EPA and DHA from deep-sea, cold-water fish. EPA and DHA support cardiovascular, joint and metabolic health. 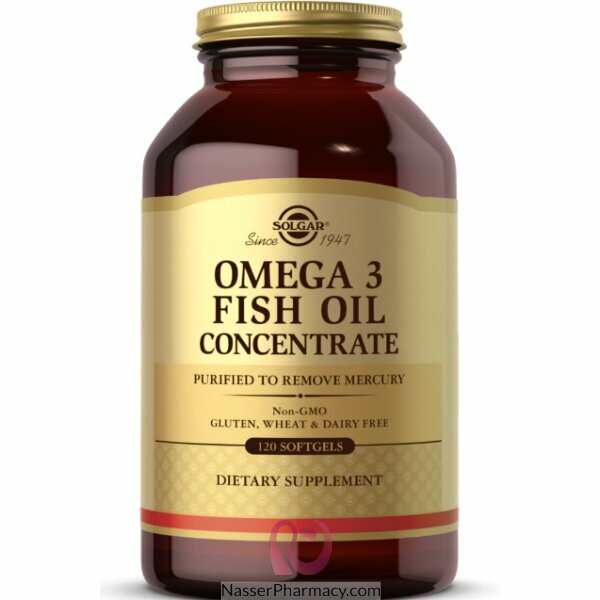 The fish oil in this formulation is tested for optimum purity. It undergoes molecular distillation to remove mercury. As a dietary supplement for adults, take two (2) softgels three times daily, preferably with meals or as directed by a healthcare practitioner. Description:Pre-menstrual Syndrome (PMS); where it has been shown to eradicate swollen abdomen and h.. Description:While our body has the ability to produce omega 9, critical for heart health, omega-3 an.. Description Nature's Bounty Fish Oil contains EPA and DHA which help support and maintain the hea.. Description : Helps maintain healthy triglyceride levels already in the normal range.Helps support h.. Promotes Heart HealthPurified to Eliminate Mercury, PCBs & DioxinsOmega-3 fatty acids are consid..
Providing 90mg GLA (9%)Promotes Women' HealthRapid Release Liquid SoftgelNatural Support for Wome..